When there arose a need for homes for the migrants who made city their homes, then came to be formed Upkar Group. Some of the futurists such as K.H. Khan were able to have a glimpse of the approaching real estate demands. It is only then that the company was formed. Under the capable leadership of Mr. K.H. Khan, Upkar Associates, built innumerable residential townships. These were built on the outskirts of the city so as to assist in dealing with the pressure on the core areas. Since 1974, Upkar Housing has grown in the field of real estate with great fervor. It has played a crucial role in constructing customized buildings that suit the needs and demands at residence, relaxation centers and work place. 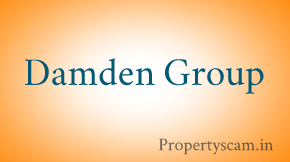 They have catered to all the precise needs of the property buyers. Each and every field has witnessed many ups and downs over a period of many years. Moreover, market fluctuations too have been a part of this trend. Real estate business has been no exception to this. There have been very few companies that have withstood the challenge. 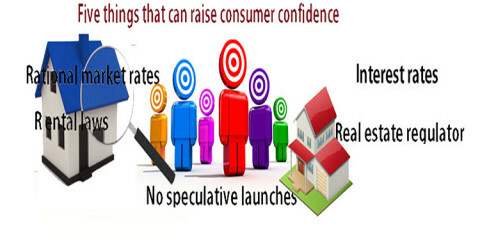 Upkar Builders is one such company that has emerged successfully from the troubling situations. The company is both into construction of exquisitely landscaped residential Layouts with all amenities, well planned and building of stylishly designed apartments and villas at the best locations at affordable costs. We kindly Request you to Post your Reviews on Upkar Group – Bangalore. Please don’t trust this upkar people.they are professional cheaters. Upkar Garden and Royal Orchard have fake papers. check for the conversion order carefully and go to BBMP office and get the extract of the order and you will be surprised that the order is fave and the same conversion order does not exist.i am asking for money refund and nobody is responding there. 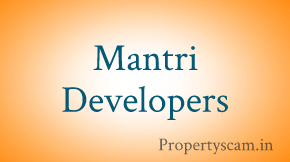 there is a person called sindu thomas who does not pick the calls only once the property has been sold. I am warning you all, please go to BBMP and check the papers(not just lawyer checks). Also, go to BDA office and ask about Upkar Residency, you’ll get to know how big fraud upkar developers are. Please, please, please don’t waste your hard earned money here. I want to let you all know that Upkar Developers is COMPLETE FRAUD. Avoid this developer completely. They are good at selling and once they sell and you are in a problem they will not even talk to you. After speaking to Khan(owner and MD of upkar developer), he says whay can I do if the property is acquired? when I sold the property you had checked right? Pathetic people. Don’t even take the property if it is given for free, you will repent. Unprofessional & uncouth guys. I found good projects with Upkar Developers. 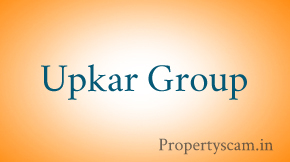 Upkar Group has failed to fulfill some commitments in Upkar Meadows Layout. Owners have been chasing to find a solution both externally and internally by forming an Association. Kindly know the facts of existing projects before proceeding or finalizing on anything with this Group…Just a kind advise !!! Upkar Developers are big cheaters. Upkar properties/estates are real fraud people. they had developed layouts which do not have proper conversion order. 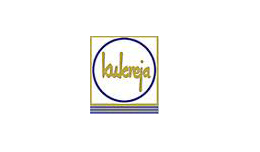 Upkar residency one of their first layouts is also fully fraud is is now getting acquired by BDA. Upkar medows has problem, Upkar ockland has full problem. In another one or two months you can see all abut upkar developers in media. Khan, Nisaar, Vamshi and internal people are fraud. Nisar is a big choor, he cheated khan only. I am a new resident of Upkar green field and so far experience is really good. While drafting, just trying to be genuine with the expectation and the quality of maintenance inside layout.I do agree there are certain grey areas we have in terms of maintenance work but main concern Water/street lamp/roads are really in good shape. In general, I will rate this project of upkar best and So, the price too is sky rocketing within two years of span from 12k to 16k /sq ft. I visited the green valley site last sunday! attractive pricing . But i dont know about the booking status of the sites…! It will be great if you can describe about exact location of upkar green valley? This thread is viewed max time comparative to other thread..but nobody has shared the information like…location and Pro and cons..
Request members to share their views …. Has anybody visited the Upkar Green Valley site…what is the status of GV Layout.. The Problem with Upkar estates are they are not maintained and don’t have concrete wall as well. Next to Upkar Medows there is a layout from Celebrityinfra called Celebrity Grandure Annexe – I found that to be good. I have no Idea on Builders reputation and doesnt have any personal experience but last year i was searching plots in electronics city and Visited UPKAR all 3 Layouts.. I personnaly, did not impress about the layout due to their location and progress over ther. 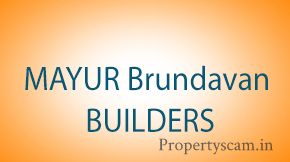 Only Upkar Green filed which on main highway has good Location and some houses are constructed.. But All layouts are not maintained ..I think that is the reason after launching from a long time availability is still there.. I visited RK Township and Vakil Projects near to UPKAR Meadows which are far better than UPKAR. I agree with Ahmad comments on Layout but I think the price offered by Upkar are reasonable and builder is trustworthy..
Upkar is very old builder in Bangalore and has delivered number of Layouts in Bangalore and Hosur. Their Projects are BMRDA Approved so financed by bank Loan..I personally visited there old 3 Projects on Hosur road. Sites available in the dimensions of 30X40, 30X50, 40X60, 50X80 & some odd dimensions . 1) UPKAR MEADOWS: Located 3.5 Kms from Electronics city Wipro campus and 1Km of JIGANI Link Road. 2) UPKAR SPRING FIELDS: Located 6.5 Kms away from Electronics city, approx 2.Km from Chandapura circle and 0.5 Km off Bangalore – Hosur High way. 3) UPKAR GREEN FIELDS: Located on Bangalore – Hosur Highway and 10 km away from Electronics city Near Ramee Guest Line hotel.. I would stay away from Upkar, very very very bad experience..
i never accept your comment. tell some proper reason.i feel upkar is good…. If you want to see the real face of Upkar builders,come and see Upkar Royal Garden,Hosur.You cant see such a pathetic and low quality construction and estate in the worls.We are experienced the deal with Upkar and we are the victims of Upkar Builders(Cheaters).So dont fall in their trap.Be careful. Upkar is a cheater company. They sold us the that that belongs to BDA in upkar residency. Khan is not talking to us also and although he is sitting inside the office he tells that he is not at office. The site is now being acquired by BDA and this person called Nisaar does not pick the calls too.. Please don’t buy anything from this cheater company. I have found all of Upkar properties have problems as their paper work is at fault. Upkar buys all litigation lands for a very cheap cost and sells to the customers, then later the customers face issues..
sorry to hear about your bad experience with Upkar. Before I purchased a site at Upkar Meadows, I had 2 different property lawyers check all documents for the site. Both Lawyers said that the site/papers are clear and I can purchase the site. Don’t know if you are referring to any other issues apart from this. Agreed that roads in this layout are not properly maintained. But otherwise all is well there.